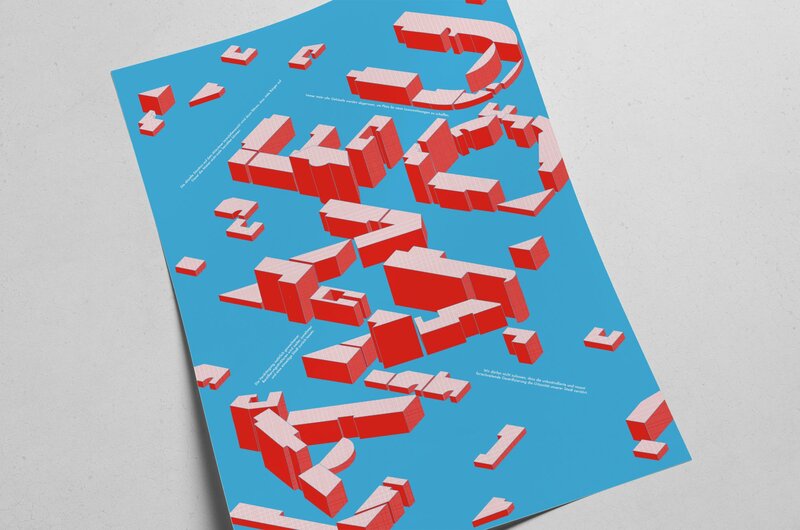 These posters are graphic interpretations of the term “Neuland” which can be translated as “New Grounds”. 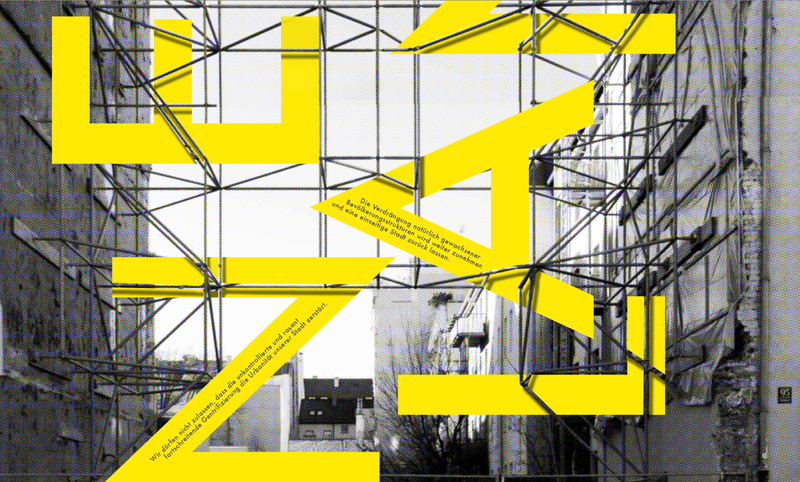 I took a photo of an existing empty site and interweaved the scaffold with a constructed typeface for the first design. 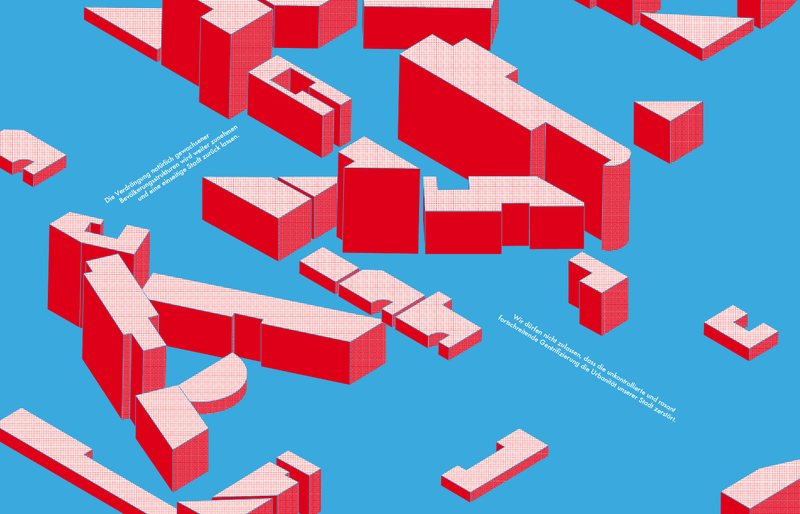 In the second design the letters embody a growing city. The isometric view is a typical characteristic in architectural plans.